The Supreme Court seems to have been influenced by the western perspective of gender justice in interpreting the constitution where as the core of which is rooted in Indian ethos. From the point of view of fundamental rights the restriction for women in a certain age group to Sabarimala may seem gender discrimination; but intrinsically it is not. 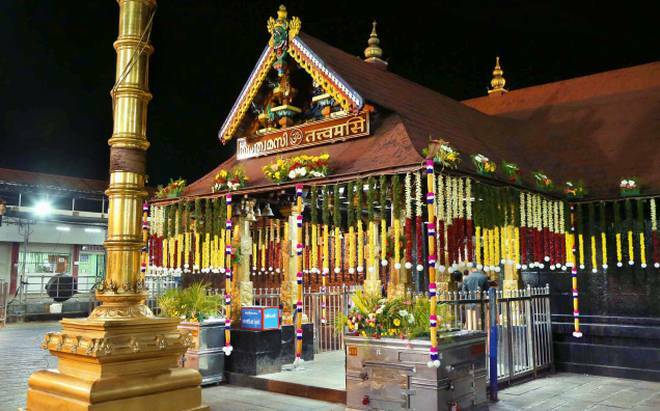 R P Guptha, the counsel representing various NGOs and activists who filed petitions seeking entry of women of all ages to Sabarimala stated before the court that Sabarimala was not in any way different from the other temples in the country. That argument itself vouches the lack of proper understanding about the uniqueness of the Hill Shrine. All the rituals related to Sabarimala directly linked to that uniqueness. In all the other temples in the country pilgrims visit as devotees. But in the case of Sabarimala, in principle the deity, Lord Ayyappa itself is making the darsan. While all the other temples facilitate worship for the temple goers Sabarimala provides for the personal experience of god realization, the ultimate end of a seeker. When one elevated to that level he himself or she herself is the god. Because of that a person who ritualistically wears a necklace to mark the start of the observance as preparations to visit the shrine is addressed as Swami Ayyappa, the deity at Sabarimala. So the visitors to the shrine are therefore neither pilgrims nor devotees. The worshipper, worshiped and the worship become one. There comes the quintessential aspect of Indian culture explicitly elaborated in the Upanishads. In Upanishads there is no reference to God as well. The causal force present in animate and inanimate things is therefore referred to as "it" in the Upanishad. It is perceived as God for human understanding. A person after undergoing forty one days' 'vrathas' climb the Sabarimala hill and reach atop the 18th step of the temple where he is greeted with the writing ,'Thathwamasi',means, thou art that or you are that. The observances one has to go through forty one days are of tanthrik in nature which normally impossible for menstruating household women to practice. The tanthrik observances are aimed at communicating with the subconscious mind or DNA of the person who practices the observance. For which one has to withdraw his senses from the outer or material world for forty one days like a tortoise duck in its limbs, and immerse in inner life or meditation bringing the body, mind and soul to the same frequency. This is not possible in the case of menstruating women as her senses are open to the outer world during menstrual cycle or on every 28th day to allow the nature to play through her. If such a woman is passing through the ritualistic observance she will be both physically and mentally get shattered as dialectical the observance is ended up. Due to that biological reason women who are in their productive age were advised to abstain from the ritualistic visit to the shrine. Later it turned out to be an established custom that culminated in the restriction. The apex court also failed to recognize the focus or purpose behind the temple visit. It is for the spiritual experience and upliftment of each individual. Though it is a social institution it is aimed at each individual. Whenever any fundamental interference is done by the court in such subtle matters it should not limit or harm the scope of the citizen to expand himself or herself without harming the other, which is the core of Indian constitution. Unfortunately that aspect got undermined in the stand of the Supreme Court in this case. It is also equally important to look into the aspect whether the petitioners are genuine in terms of extending opportunity to those who want to visit the shrine as devotees or with some other ulterior motives.